Those wheels look great with red. This is exactly the kind of project I love. For my adult life, my car hobby has been fulfilled by buying slightly needy cars and rebuilding to my desires, mostly muscle cars, and trucks. My problem is that I never sell anything, so I cant say I have ever made any money, but it makes a good story to my wife. ;) I bought a 911 about 5 years ago that similarly had needs, but not as extensive as this turbo. I got a rude awakening, 911 parts are ridiculously expensive and the value of buying an incomplete or needy car disappeared. In the Porsche world, it seems that you are 10’s of thousands ahead buying completed cars. That said, BAT seems to be a reasonable sourced to go for representative prices. 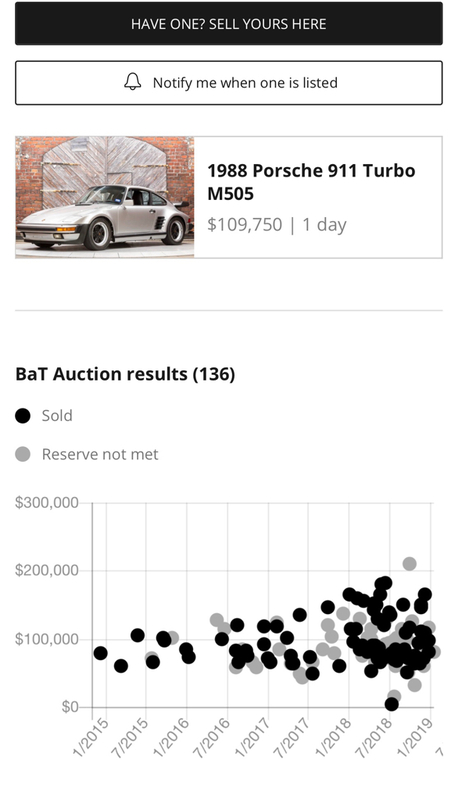 Some would argue that BAT prices are somewhat high, but auction results are what they are. 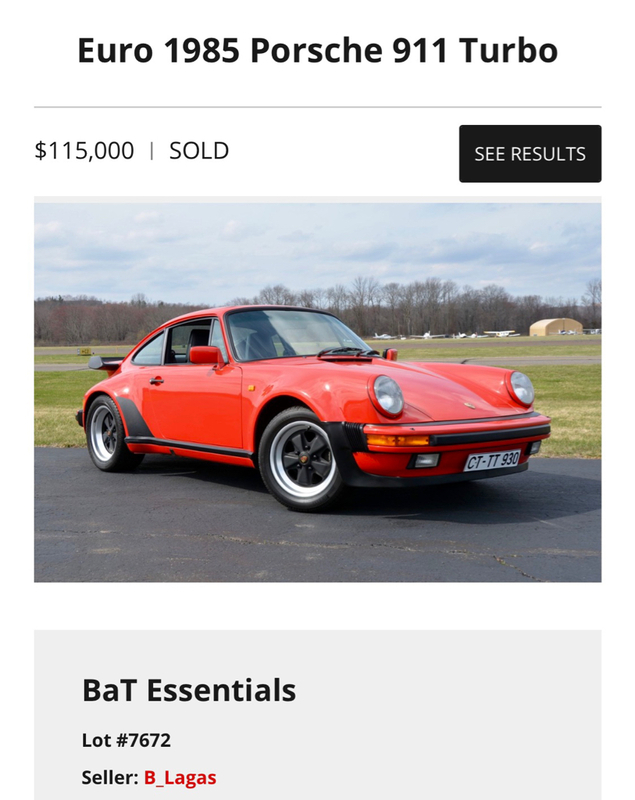 BAT usually doesn’t have non running cars, but there is a pretty good selection of 930’s sold in the past year to get values of what it is worth completed. 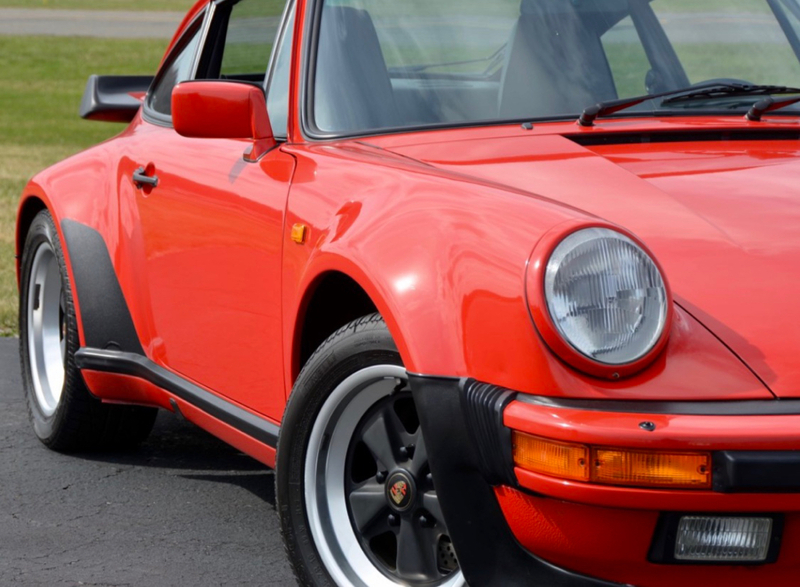 Lots of “normal” 930s in the 50-70k range. By normal, I mean not crazy low mile, not highly modded, not slant nose, and with proper original engines in good condition. If you go backwards from there with the repairs needed to yours, you get to a number that approaches scrap value. I know it doesn’t make sense, but that seems to be the economics these days. I would be interested, but I’m afraid my number would be insulting. 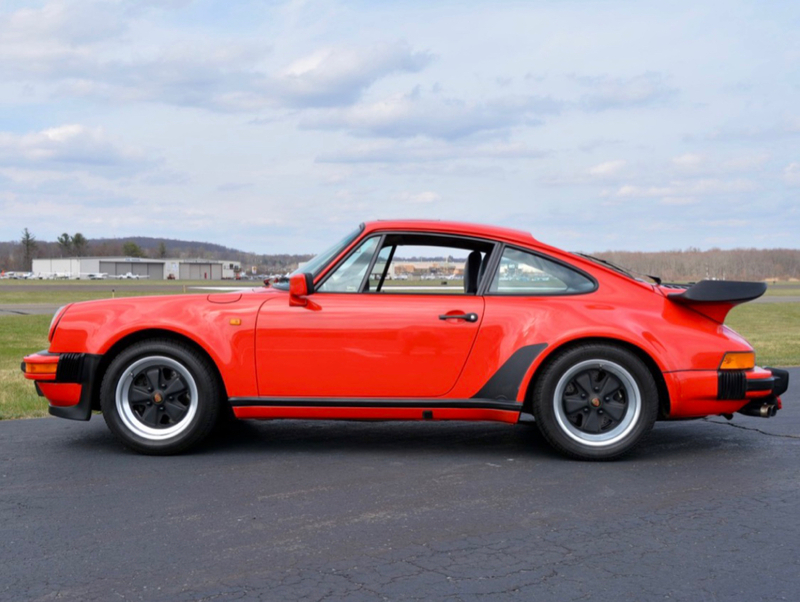 Not seen a 930 that runs sell for anything close to $50,000 in some time..
$100,000.. condition 3 miles 30k to 50k. $275,000 to $500,000... condition 1 miles less than 5000 or preproduction 1975. Scottsdale auctions last weekend most every 930 sold at $100,000 or more..
Mods kill.. more than high miles. 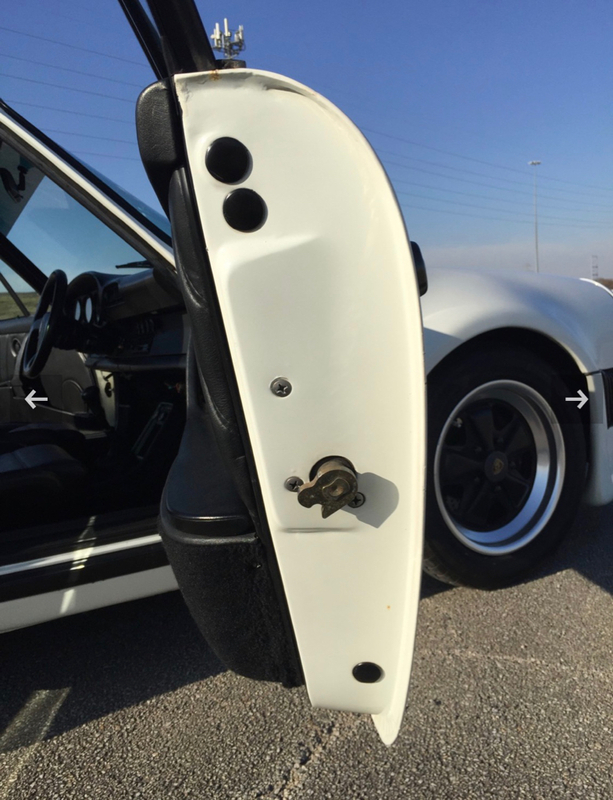 930s are NOT HOBBYIST cars. They will bring a hobbyist to their knees in hurry. A engine and transmission overhaul is now $35,000 to $50,000 depending on your part of the country..
That is not touching anything else besides engine and trans. 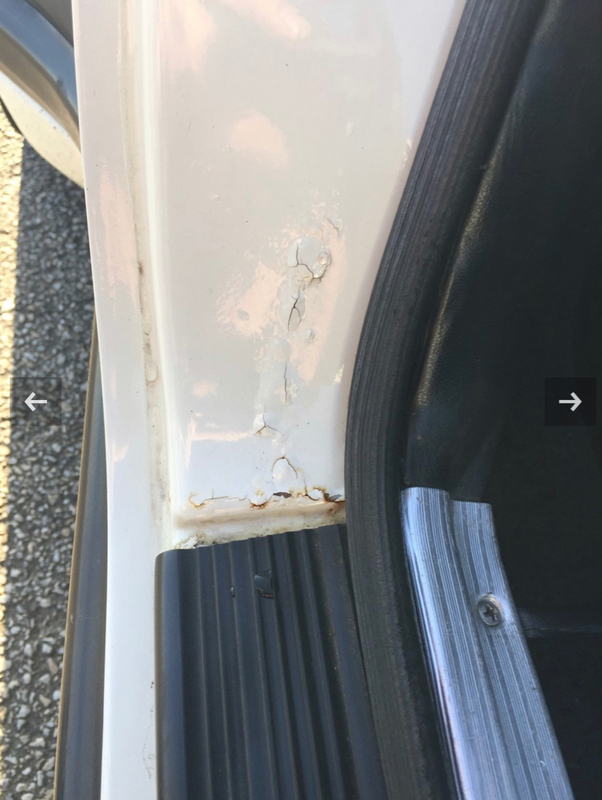 A hobbyist is best left to NA G bodies with higher miles. That said the above 84 is no longer a 930. You would probably be better off selling it as a track car. OP. 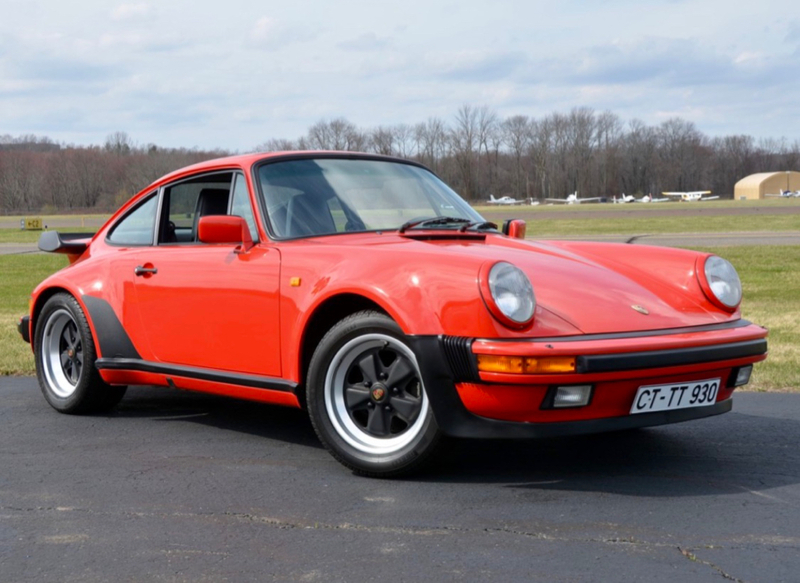 Here's a running $50k range 930 to help you with pricing. The BAT link has 29 930s sold in the last year between 50k-100k. Most in the middle of that range, and most were similar to your categories, ie driver-ish cars with miles. The car above will never even be in that range because is has a non original motor. From a collector point of view, I think a non original motor will always keep it in the condition 4 range, no matter how nice it is. On the other hand, a turbo is a turbo for someone who wants one to just drive around. I would love have one like that, but the costs involved in getting it going have sucked the wind out of that market. It costs just as much to keep up an orphan as it does a collectible garage queen, one you may break even on, the other is a money pit. Let us remember the old porsche adage that must always be adhered to as it is forever true. There is no such thing as a good cheap porsche just as there is no such thing as cheap good porsche. Rust all over in fact. I’m sorry I’m looking at this graph and seeing a majority of the sales are around the $100,000 range not the lower ranges you refer to. 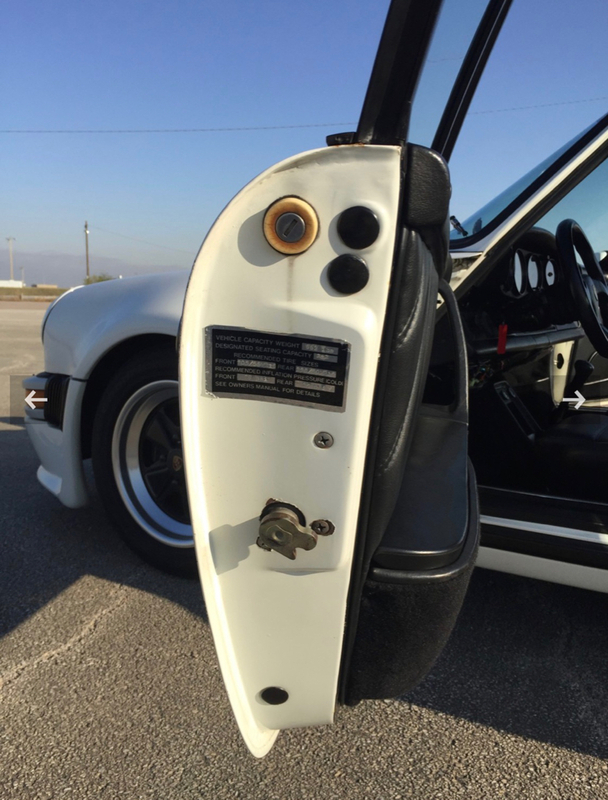 Yes aircooled porsches are not for the hobbyist any longer. They are however not money pits as you will get a large portion if not more back with restoring or up keep of a aircooled porsche. This car is worth more for its parts than it is as a candidate for a full restoration. You could spend say 100k properly restoring it, and then probably not be able to get that 100k back out of it once complete. 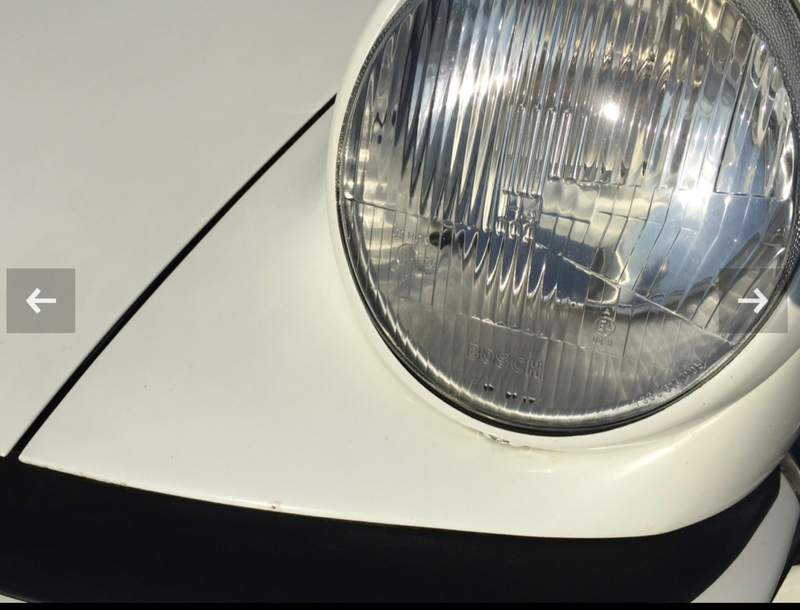 You can spend $100K on restoring a 912 for that matter. The OP's 930 is a driver, with an engine that needs a rebuild. Wish I had a freshly rebuilt 930 engine sitting around. I know where there is one for sale. Asking price 40k and its yours! I would even give mid 20s, with the vague hope I could get it running cheaply, and I realize I probably couldn’t. Totally. You beat me to it. This ludicrous attitude is exactly what kills this hobby and helps to drive up prices.